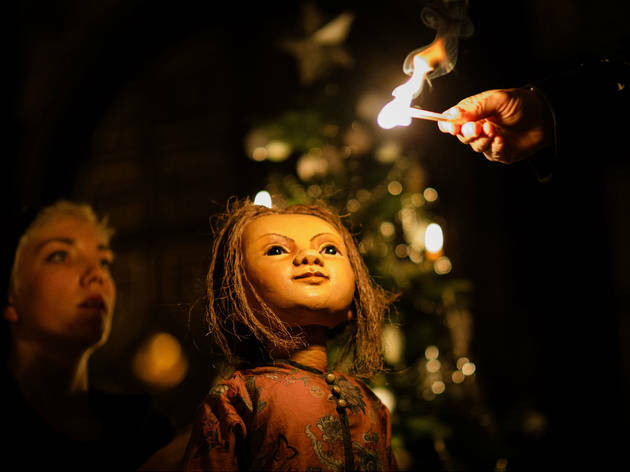 Hans Christian Andersen’s ‘The Little Matchgirl’ is an important pillar of our Christmas tradition, an icy dagger of conscience glittering amidst the tinsel. It’s also bloody depressing, and if it were dragged out into a 90-minute piece of standalone drama would probably have the audience wistfully wishing they were seeing something cheerier – a Sarah Kane play, perhaps. 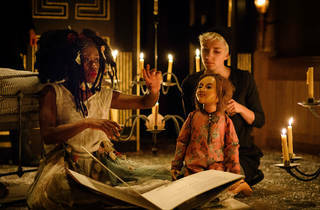 Globe boss Emma Rice’s smart answer is to have her puppet Matchgirl (beautifully operated by Edie Edmundson) as a silent outsider, haunting her own play. Homeless on the freezing streets, she is visited by flamboyant storyteller Ole Shuteye (Paul Hunter) who entertains her with a fairytale every time she strikes one of her dwindling supply of matches. It is, in essence, a backdoor panto: while the framing device is timelessly sad, the three stories – adapted by Joel Horwood – are varyingly degrees of silly. ‘Thumbelina’ is a derring do-heavy tale of adventure; ‘The Princess and the Pea’ gets a righteous feminist rocket up its, er, mattress. And ‘The Emperor’s New Clothes’ is just magnificently daft, as the preening clotheshorse ruler (Hunter again, the show’s standout performer) gets taken for a ride by a pair of preening teutonic fashion designers. 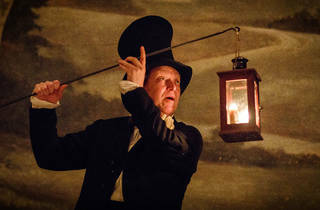 There is singing, there is dancing, there are a few gags about electric lights that would seem to be a cheeky allusion to the kerfuffel that led to Rice’s recently-announced departure from the Globe. It is great fun. But just when it was bugging me that the title tale was being sidelined, Rice and Horwood wrap things up with a short but devastating final five minutes that plough headlong into the issue of homelessness on our streets. They don’t need to be serious for long to send you out, reeling and ashamed. 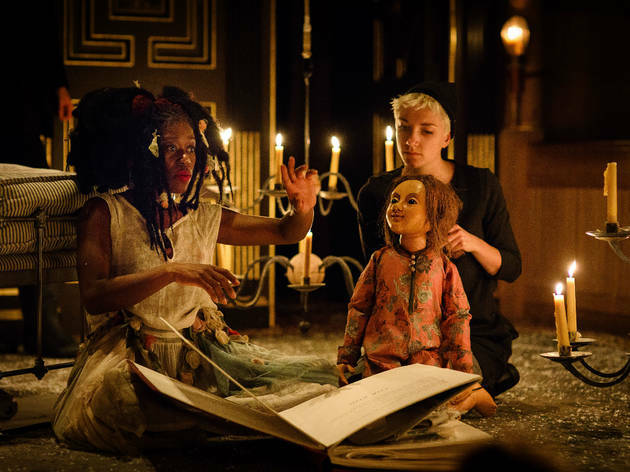 'The Little Matchgirl' is back at Shakespeare's Globe in March 2018. This review is from its opening in December 2016. 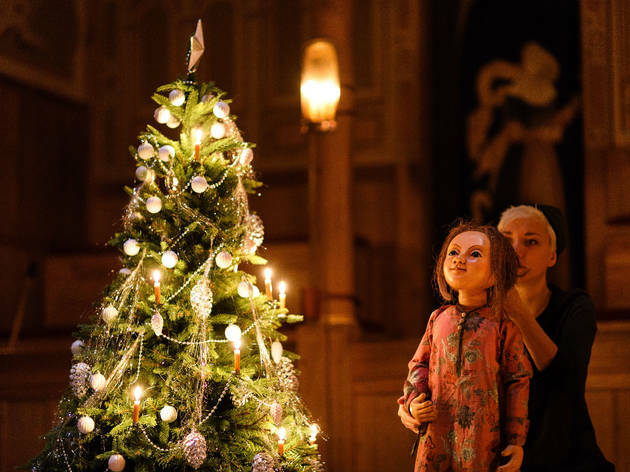 The Little Matchgirl and Other Happier Stories is staged in the gorgeous, intimate and candlelit Sam Wanamaker Theatre at the Globe. I had always wanted to see a show in this unique setting and was not disappointed. We were sat in the upper gallery, second row on the side and the view was quite restricted. I would definitely recommend spending more money for the unrestricted view seats in this theatre. 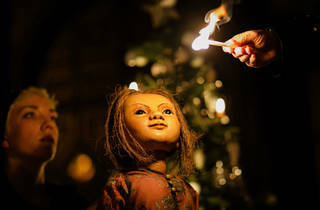 The Little Match Girl was really enjoyable. Other Hans Christian Andersen stories were also performed, including Thumbelina, The Emperor’s New Clothes and The Princess and the Pea. 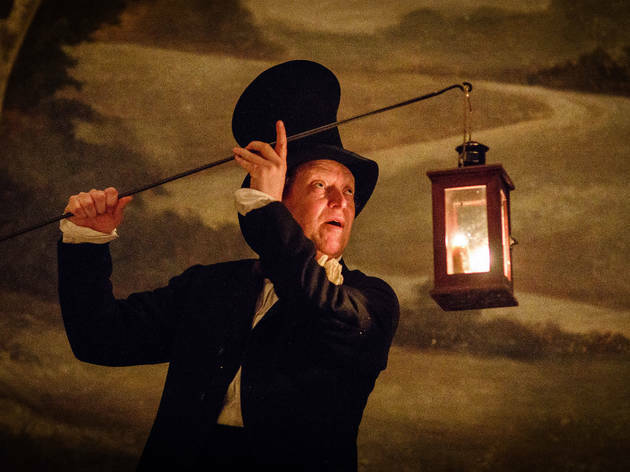 These are all told through a narrator and his macabre circus-style acting troupe. They sort of reminded me of the acting troupe from the movie A Series of Unfortunate Events. Dreamy melodies were sung throughout and although the show had a slightly sinister feel to it, there were so many silly moments which lightened the mood. 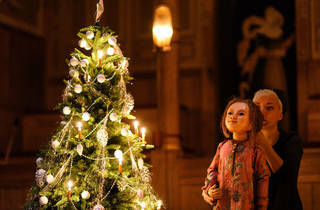 This is a great show to see as an alternative to a pantomime in the lead up to Christmas.